Is there a way to change what notifications employees get? You can change them globally. Go to the tab Settings > Account > Notification Settings. 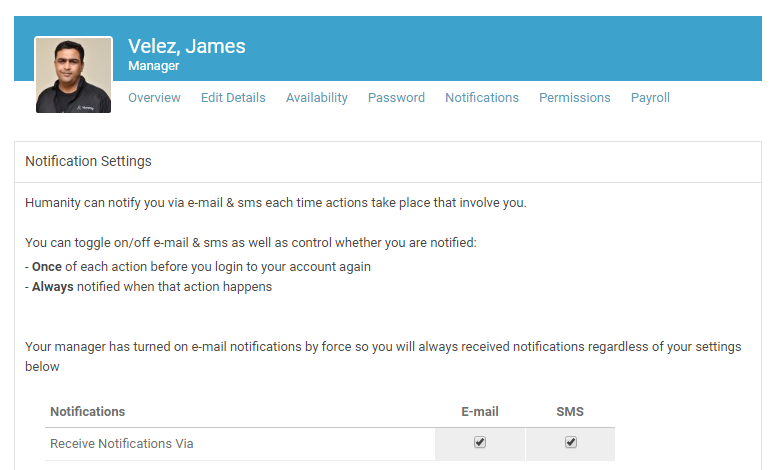 Or employees can individually set their detailed notification settings. Go to your profile - > and select Notifications.